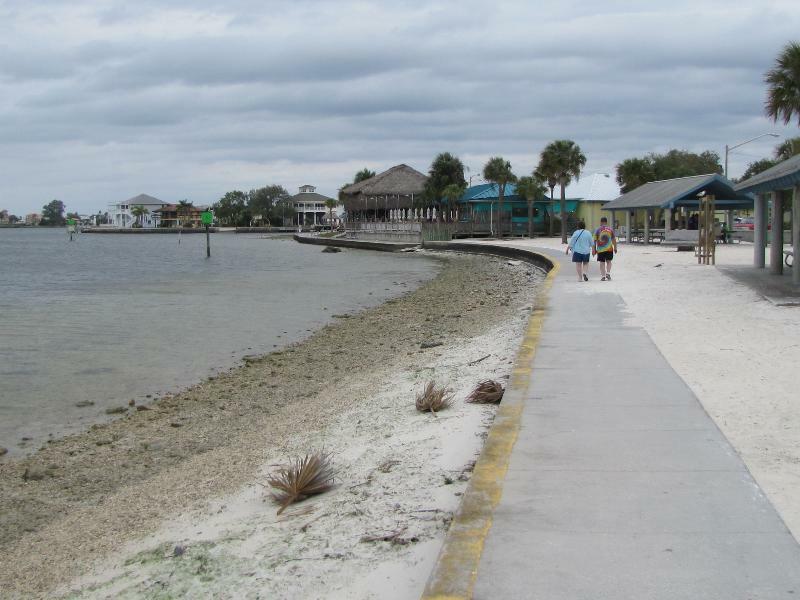 Nice sidewalk, sand, but not next to the water. Today Sher and I headed over to Hudson, Florida in hopes of going to an auction nearby. The auction was not what we expected, and we were glad we got there early as we did not waste any time there. That is when we headed on to Hudson. We had yet to see the Gulf since we have been in Florida this winter. We found a great little “beach” in a city park. Note the quotes around beach. The sand was there, however it stopped at the sidewalk before the water! 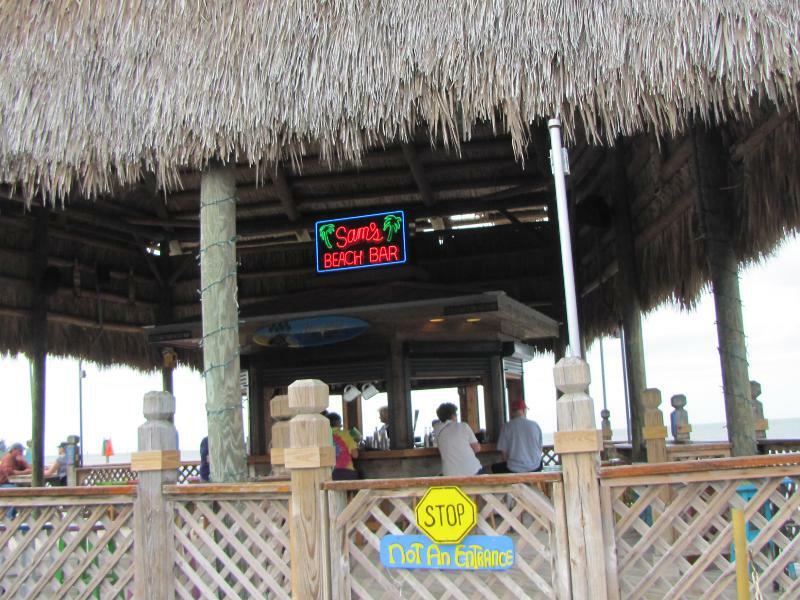 Right next to the sidewalk was a cute establishment named Sam’s Beach Bar. What the heck, let’s see what was on the menu. Things looked good, so we were seated out on the patio. The sun was out, the temperatrue was in the mid 70’s, and there was a very nice breeze. I ordered the 1/2 pound burger, topped with fixin’s including a great slab of cheddar cheese. It came with a good serving of seasoned fries. 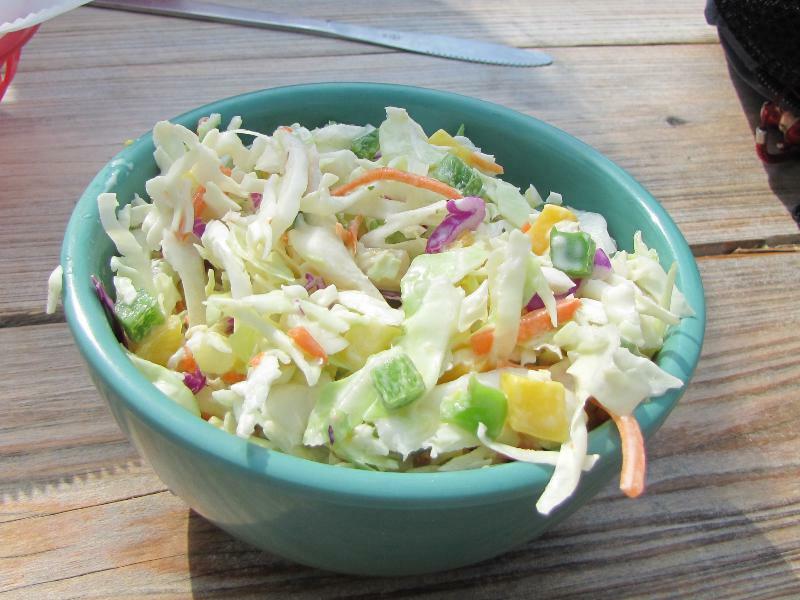 Sher had a side of fries and a large bowl of freshly made cole slaw. Tasty, tasty, tasty! We really enjoyed the meal. It was also fun sitting on the patio. We kept wondering how the place kept all the seagulls from attacking everyone’s food. There were tons of those birds, but they would not fly over the open patio at all. 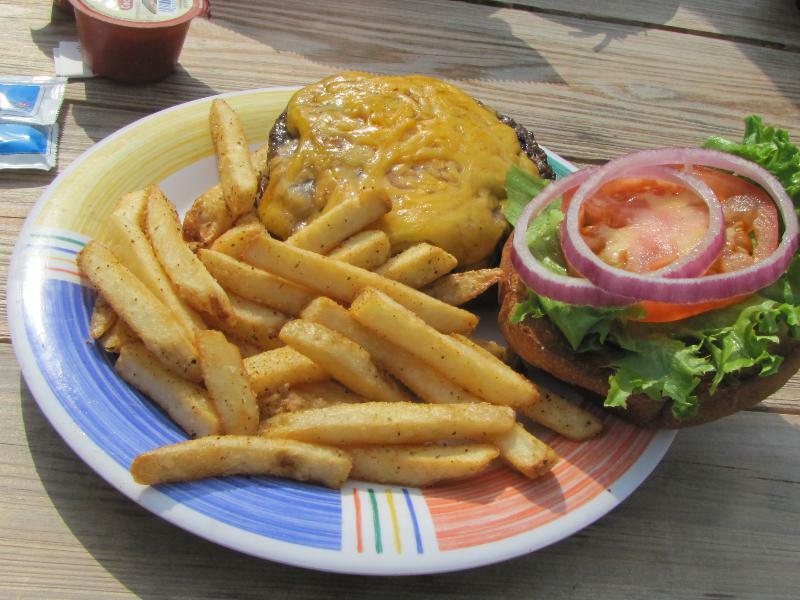 Burger with all the fixin’s and seasoned fries: it doesn’t get any better! 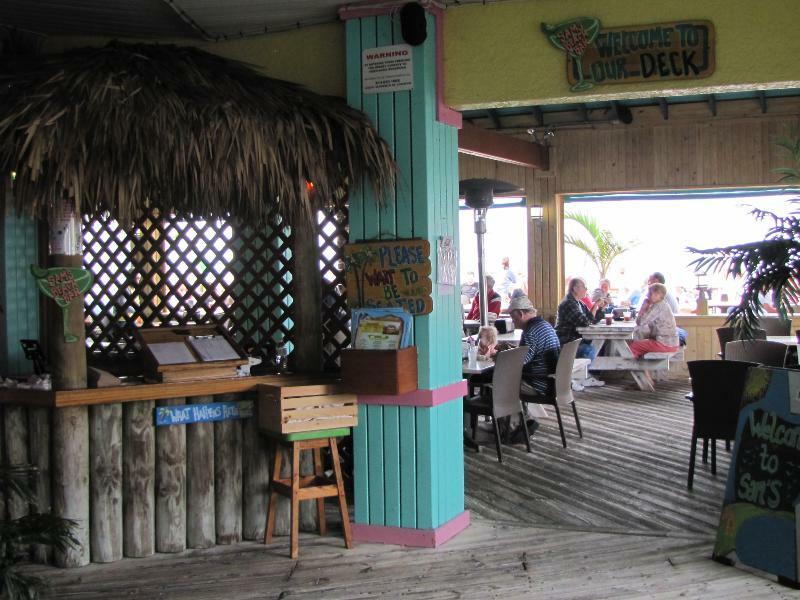 Sam’s Beach Bar is worth your visit if you get to Hudson, Florida. (Hudson is north of Clearwater on Highway 19.) The parking was a city owned lot, pay your $2 and you are good ‘from dawn until dusk’ as the sign says. The view over the water was calm and peaceful, as was our meal at Sam’s.